Mom jeans have come a long way since SNL famously parodied them in 2003. Gone are the elastic waists, pleats, and poor fit. The updated version of mom jeans is now a favorite style of the fashion crowd and celebrities alike thanks to the '90s resurgence in fashion. This denim-obsessed editor, for one, is definitely on board, and I just found the most flattering pair yet. Earlier this year, I shared my affinity for Mott & Bow's ultra-flattering skinny jeans. 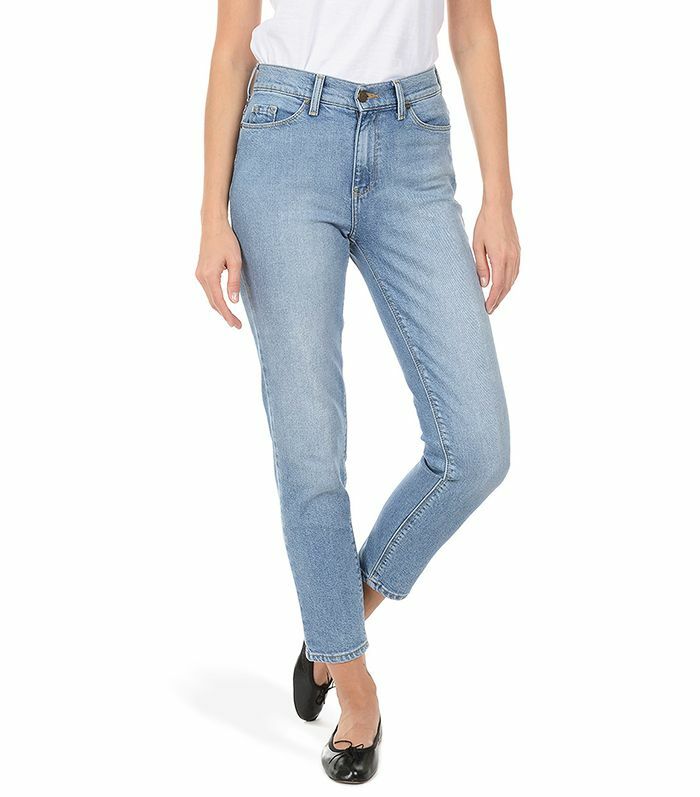 Luckily for me and everyone else, the brand just released an all-new denim style: the aforementioned Mom Jeans. Each of the three washes that the $118 jeans (a steal in my book) are available in are made with "comfort denim," which means that they feature a large dosage of elasticity. Between the high comfort level, perfectly cropped length, the chic high rise, and the flattering tapered shape, they're good enough to buy in every color. I can say with confidence that they're just as slimming as skinny jeans, but even more forward. Ready to see for yourself? Keep scrolling to shop my new favorite jeans! Next up, check out which denim trends celebrities are wearing again.